aced on the LoCTV News crawler send it to news at LoCTV.com . 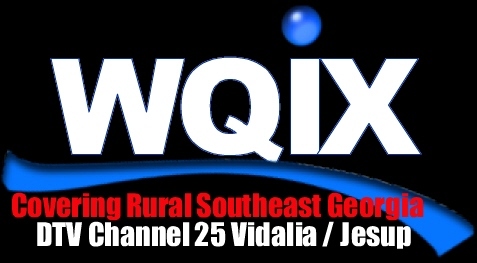 All Churches, Organizations, Governmental, Groups, Associations and others located in Southeast Georgia wishing to have information and news carried on this station may qualify for FREE placement if the entity is non-profit and are not paying for the same information to be advertised in any other local area media. My South TV Network & LOCTV, from Jesup Georgia, is an acknowledged leader in providing community-specific, informational programming and services. The high quality and family friendly content of our programs enable our viewers, subscribers and sponsors to be fully informed about events, happenings and essential information necessary for their community. We are now spanning the globe to connect friends and family in an expanded small town community. Make the My South TV hometown your hometown. Take the time while you watch our programs to tour all the cities within our network. On your HD television or digital box activate "Automatic Channel Search" for your area. Watch BID R BUY "LIVE" every Monday at 7:00 pm (EST). You'll find the best bargains anywhere. Call 912-530-8832 during office hours to be assigned a BrB Number. Watch THE ROOSTER SHOW "LIVE" Mon-Fri from 6:30- 8:00 am (EST). The most useless talk show on television. This is pure down home reality television at it's best. Your junk can become treasure to someone else on TRADER TV "LIVE" every Thursday at 7:00 pm (EST). Best of listings are always FREE for individuals. in Wayne County Georgia. If you would like to receive LOCTV on your cable in Southeast Georgia, request it through Comcast or your local cable company.